A recycling fee is in effect. See municipal website for current fees. The annual 2018 published rated $41.40. Note that there is an annual fee for curbside recycling service. This fee is set by the Municipality and can be found in the General Fees Bylaw on the Municipal Website. This is a user pay program and the cost for service is based on the bin size. Please check the Municipal Website for the current fees. Annual 2019 published rates were $90.84 for a small bin, $113.67 for the medium bin, and $147.79 for the large bin. See the Setout Guide for information. There is no year round scheduled curbside collection service for source separate organic materials and leaf and yard waste collection in your community. However, the municipality offers Spring and Fall collection of leaf and yard waste. Please consult the Municipal Website for details. Annually, the County of Huron schedules a special drop off day for household hazardous waste at temporary locations throughout the County. 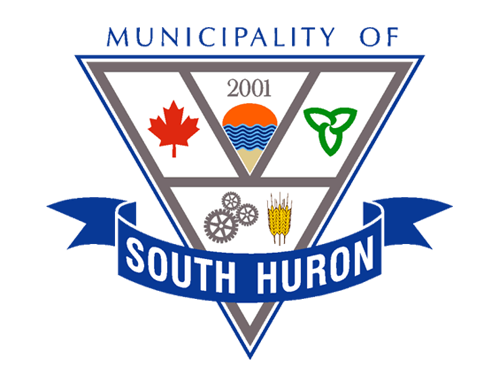 Refer to the South Huron or Huron County Web site for information on dates & locations. Farm generated hazardous waste is not eligible in the county sites. Please consult OMAFRA and OFA for options.